Mia Lehrer is the founding principal of Mia Lehrer + Associates, a Los Angeles-based landscape architecture practice. The firm leads the design and implementation of a diverse range of public and private projects, which vary in scale from large urban projects “engaging community members and public agency stakeholders,” to intimate gardens where “collaboration and coordination of architecture and site” are the firm’s primary objective. By working closely with local communities, public agencies, and project owners Mia Lehrer + Associates creates commercial spaces, parks, open spaces, streetscapes, campuses, and institutional facilities that “meet the diverse needs of the people who will visit them.” The firm has been responsible for master planning and concept development for projects such as the LA River Revitalization master plan for the City of Los Angeles’ Department of Public Works alongside smaller works like pocket parks developed with funding from grants, infrastructure programs, and public-private partnerships. 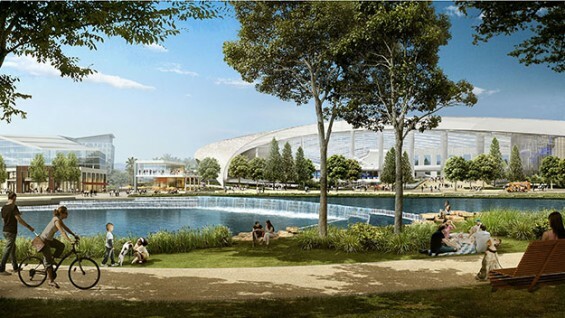 Recent projects include the planned City of Champions park designed to complement the new Los Angeles Rams NFL stadium designed by HKS, Inc. in Inglewood, California and the Union Station master plan designed alongside Grimshaw Architects and Gruen Associates located in Los Angeles. Mia Lehrer received her Masters of Landscape Architecture from Harvard University and later founded Mia Lehrer + Associates in 1997. She is a member of the International Federation of Landscape Architects, American Society of Landscape Architects, and the Hollywood Design Review Committee among other organizations. Her firm’s projects have received numerous American Society of Landscape Architects National Honor Awards, the most recent being the 2015 award for her work on the Dallas Connected City competition master plan with OMA. Last year, President Barack Obama appointed Lehrer to the U.S. Commission of Fine Arts. Tickets are free for Cooper Union students and faculty with valid ID, and League members. For ticket inquiries, please click here.